The Cosworth Tumble Generating Valve (TGV) Delete Kit is designed to maximize airflow to your engine by eliminating the obstructions inherent to the OEM TGV intake ports. The TGV delete’s are made of a fiber reinforced polymer to insulate the cylinder head from the intake tract, providing your engine with a cooler, denser charge of air. To further increase performance, the Cosworth TGV delete’s are port matched to our CNC cylinder heads and intake manifold. 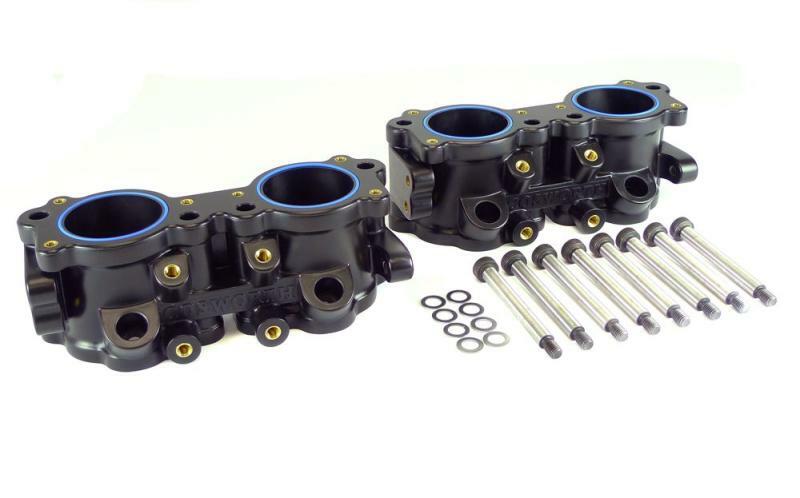 This product is a direct fit for the 07+ Subaru STI due to the top feed injector design and due to a revision to the upper bolt pattern of the TGV, specifically moving the center two M6 holes. With our manifold and top feed injectors, the TGV delete kit will work without issue on most WRX/STI applications.